Caring for your car allows you to go the extra mile with the vehicle that you have bought. However, you will also need to make sure that you have the products and services that fit best for your budget and for the health of your vehicle. If you are getting an oil change, then you will also want to look at the synthetic and conventional oil so you can continue on the road that fits best. Typically, when one gets an oil change, they are interested in getting the best for their budget. The conventional oil that you receive typically is cheaper than synthetic oil. However, this isn’t necessarily the best with your oil change. The synthetic oil burns three times as slowly as conventional oil, making the change more effective with your needs. You will want to add up both the price and how often you would need to get an oil change. The oil change that you decide to get also uses different materials. The conventional oil uses different minerals and mixtures for your vehicle. However, the synthetic oil has compounds that have a thicker mix known to be more effective for your car and healthier for the environment. They are known to work better with the engine. The compounds also burn less while you are driving, even when there are dusty and dirty climates that typically burn more oil. 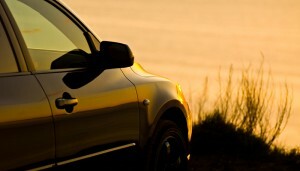 The health of your car allows you to drive more miles while getting the most from your vehicle. Comparing synthetic to conventional oil with your next oil change ensures that you get the best fit for the miles you are driving. Understanding the difference between these types of oils allows you to create a different approach with the oil change that you need to get.